I’m so sorry: that the column didn’t appear last week. I have no idea why! Millennium Garden: There are new wood sculptures in the Millennium Trust Wood. The carver has been back! If you don’t know about this local art, do go and have a look. One entrance to the walk through the woods is from Brown Twins Road and the other from next to the former St. George’s Church. The garden is managed by a trust set up specifically to protect what was once part of the garden of St. George’s House so that the village can enjoy it in perpetuity. The Charity Shop: is exceedingly busy and goods are being donated for sale are at record levels. But PLEASE do not leave donated items outside the shop. Some time last weekend a large number of bags of goods were left overnight. The risk from rain and rats is always there, and these goods – deposited directly under the sign in the window that says ‘Please do not leave items outside the shop’ – were completely soaked and unusable by the time the shop opened on Monday morning. Sundays, 9.30-10.30 Village Centre, weekly WeightWatchers’ Meetings: For further information: contact the Hurstpierpoint WeightWatchers Coach Jacquie Small on Tel:07791365533. Saturday, March 17, 2.15, Village Centre: Hurstpierpoint Horticultural Society Spring Show: Spring flowers, floral art, photography, cookery and children’s sections. Exhibiting is free and open to all, simply pick up a schedule from Gibson’s in the High Street for full details and entry form. Also a display of work from the pre-school playgroup. Tea and home-made cake, raffle and auction at end of show. Saturday March 17, 6-7.30 pm: Music & Wine in the West Gallery, Holy Trinity Church: ‘Fervour & Whim’ – Purcell, Mendelssohn and others – with Louise Gledhill (soprano) and Andrew Robinson (baritone). Reserve your seats by emailing margaret@112a.co.uk; 01273 835113; just turn up and pay on the door. Tickets £5 each. Tuesday 20th March 2018, 7.45pm. 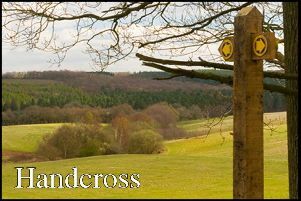 Club Suite, Village Centre: Wolstonbury WI Monthly Meeting: ‘A Sussex Farm during the 1950s’ by Ian Everest. Visitors welcomed. Enquiries 01273 834421. Friday 23 March, 8 pm, Guide HQ, Trinity Road Car Park: Hurst Historical and Geographical Society host the talk ‘Charles II and his escape through Sussex in 1651’ by Helen Poole, Curator at Crawley Museum. Saturday, 24 March, 10 am – 12 noon, Holy Trinity Church: Coffee morning with popular organ music played by Ray Carpenter, and the usual variety of stalls, plus coffee, tea and home-made cakes. Saturday, 24 March, 7.30 pm, United Reformed Church, Hassocks: Hurst Singers Spring Concert: ‘A celebration of Gilbert & Sullivan’. Saturday, 14 April, 1000 to 1130 am. Guide HQ, Trinity Road Car Park: Annual Coffee Morning and Mini-market in aid of St. Christopher’s. This is a small residential home for elderly people and the Friends group works to raise funds to arrange benefits and social outings for all of the residents. Entrance fee remains at 50p per person to include coffee or tea and biscuits and there is a wide range of stalls including cakes and savouries, books, plants, raffle, tombola and gifts. If you have any small items you would like to donate for sale please get in touch with Jo Kearns, 01273 834200. We are happy to arrange collection. We always welcome gifts of home-made cakes, buns scones etc. to sell. Please do come along and join us. Saturday 21 April, 6-7.30 pm: Music in the West Gallery, Holy Trinity Church: Brighton Cascade Creative Recovery Choir. The Choir is formed of people recovering from alcohol and drug addiction. Performing is part of their road to recovery and we are very pleased to welcome them. Do come and support them. Out of respect for them, the bar will not serve alcoholic drinks this evening. Sunday 22 April, 7 pm: St John the Evangelist Church, Church Lane, Newtimber, BN6 9BT: Alison Murdoch talks about her life and her book ‘Bed 12’, a real life thriller with a silver lining which is described as ‘a love letter to the NHS’. Alison has catalogued paintings for Sotheby’s, set up night-shelters for homeless people, set up a catering service for refugees and other adventures. Tickets £10 to include refreshments from Gillian Keith, 01273 835013, gillian.bedlam@googlemail.com. Proceeds for the upkeep of this beautiful rural church.